Awards - Lisa A. Workman M.A. 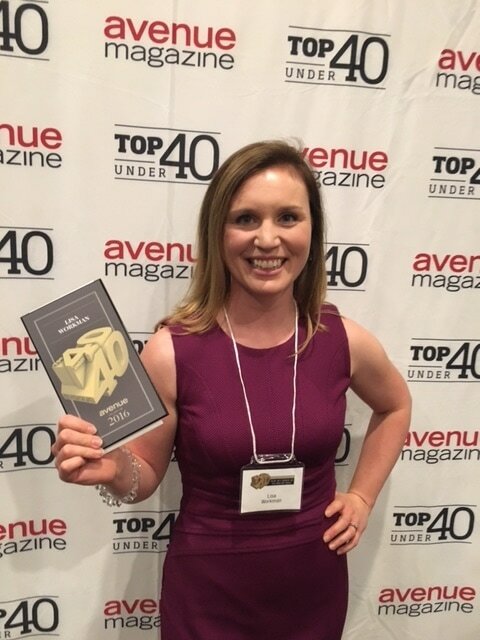 On November 1, 2016, Lisa was awarded Edmonton Avenue Magazine's Top 40 Under 40 award as she pushed for the inclusion of exercise specialists in Primary Care Networks, helping provide more proactive rather than reactive healthcare in the city. Read more in the Avenue Magazine article. 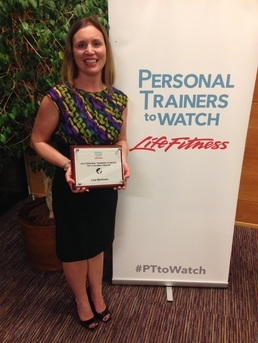 Selected from nearly 1,000 nominations and a record-breaking 49 countries and territories, Lisa emerged to compete for the title of world’s best Personal Trainer to Watch. On Oct. 30, 2015 Life Fitness, the global leader in commercial fitness equipment manufacturing, gathered 10 finalists at David Lloyd Club Turó in Barcelona, Spain. Read about Lisa's experience on page 14 of the 2016 Winter Edition of the Fitness Informer. 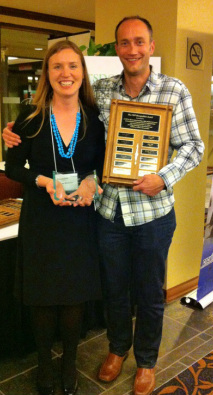 Lisa was presented this award at the Biannual Alberta CSEP Perspectives conference on November 3, 2012. She was humbled by the nomination and honoured to receive the award. I am proud to be given the opportunity to recognize this award winner. She has been involved with Campus Recreation for the better part of the last 12 years. She has gone from participant to administration to instructor to leader and mentor. She keeps herself well informed about all of the programs and events that Campus Rec has to offer and does a stellar job in promoting them to her participants. Her open and welcoming personality creates an environment of acceptance while still being able to push her students towards improvement. Those same qualities combined with her wealth of knowledge as an AFLCA Trainer of Leaders and member of many boards in the wellness industry has made her an invaluable resource for the Group Exercise Program at Campus Recreation. I am honored to present the First Annual Building Block Award in Group Exercise to Lisa Workman. This award is in recognition of an instructor’s commitment to improving the overall success of the Campus Recreation program. By being an effective communicator, they have strengthened the link between participants and programmers. Their enthusiasm gives them a unique ability to create positive change within the program from participant feedback. Along with being a positive role model to their participants, these award recipients embody the Campus Recreation Mission and Vision statements. These individuals effectively use available resources to contribute to a continually evolving program. The Building Block Award recipients demonstrate a level of creativity that allows him/her to guide class dynamics towards the best possible participant experience. 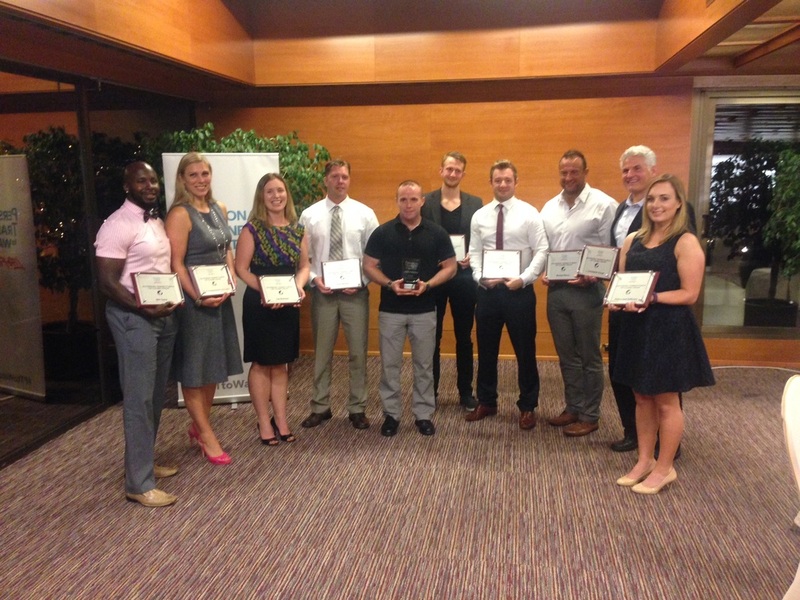 These recipients have earned this award through their continued dedication to the program.